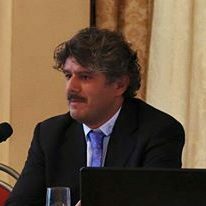 Roberto Manno graduated in Law in 1999 with a thesis on "The Citizenship of the European Union". Roberto Manno has always cultivated the passion for international laws and new technologies. After an internship in IP and community law in Paris / Brussels, he collaborated as an internal lawyer at “Bid.it!” where he has been able to deal with the most important legal issues regarding the law of new technologies. In 2006 he founded WebLegal, with the ambition to offer to its customers a full range of IP services with a special focus on the world of information technology. In the field of the domain names, Roberto Manno works as an arbitrator at the Czech Arbitral Chamber for .com and .eu domains and with MFSD for the .it reassignment procedures and Uniform Rapid Suspension Procedures (gTLDs). Since 2011, he has been working on the protection, defense and counterfeiting of new plant varieties rights on the international scene (by managing the European White List Team's activities). Roberto is regularly speaker at IP – eCommerce seminars and conferences, and is also author of several publications in on-line and off-line law reviews. Tango, SSC Napoli enthusiast, Spearfishing, Sailing, Fooding. 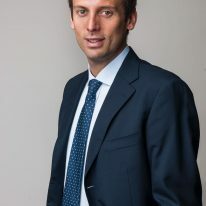 Sabino Sernia earned a law degree at Luiss “Guida Carli” University, in Rome during 2006. Enrolled in the Bar Association of Trani since 2009, Sabino has been working for national and international law firms, gaining a broad experience in Corporate and M&A, Real estate and IT fields. Sabino also worked as in-house lawyer at Autostrade per l’Italia S.p.A. Sabino joined Weblegal, in his quality as partner, since 2018. Travelling, sports addicted, food and wine. As a lawyer since 1996, Anna is collaborating with WebLegal since 2011, dealing with intellectual property contentious and non-contentious issues. She follows the electronic filing of trademark applications (national, European and international). 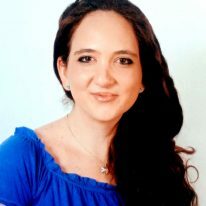 Anna is responsible for the administration-finance-control area and oversees the success of the study's internal activities. Selena graduated with honors in Law at the Lum Jean Monnet University in Casamassima on July 2013, after a path of studies in International Business Lawyer, and she is a lawyer since March 2017. Her professional background (NJORD IP - Copenhagen and Casillo Group) is very diversified, allowing herself to deepen not only the issues concerning intellectual property and the legal aspects of the new technologies (Diploma Altalex Milano 2014), but also the ones related to the managerial side (Human Resources Management Diploma at the School of Management - Lum Jean Monnet , Trani 2015). In WebLegal since 2016, Selena actively collaborates in the key areas of the firm, particularly in the national and international disputes on new plant varieties, Trademarks and Domain names. Cooking, Traveling, Arts, Theater, Dancing. Thanks to the notable international multidisciplinary background (negotiation, PNL, Coaching and Problem Solving, Marketing, Programming and Organizational Behavior, Information Technology and Digital Marketing), Andrea is able to capture and interpret the challenges posed by continuous technological progress, including those in the legal area. Graduated in Law, he joined in as Paralegal in 2016. 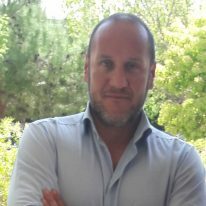 Fervent follower of team working, he assists Roberto Manno in IP Management activities; International coordination of anti-counterfeiting and customs protection services (White List Team); business and social media development, by managing the social pages of the firm. 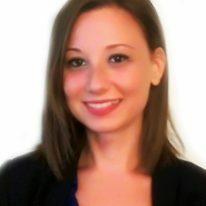 Andrea is qualified for the patronage and ADR panelist. Andrea attended the course "IP Course for Paralegals" in Alicante, EUIPO, April 2016. After having earned a graduation in Law in 2014, Alessia started a 18-month internship at the Court of Trani. 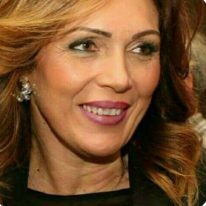 Admitted to the Bar Association in 2016, Alessia is the local representative of the Associazione Nazionale Consumatori, dealing with online commerce, distance contracts, aggressive, misleading and unfair commercial practices, proceedings and reports before the relevant authority for competition and market, extra-judicial procedures of conciliation and settlement of disputes. Web design, Cooking, Travelilng, Arts.